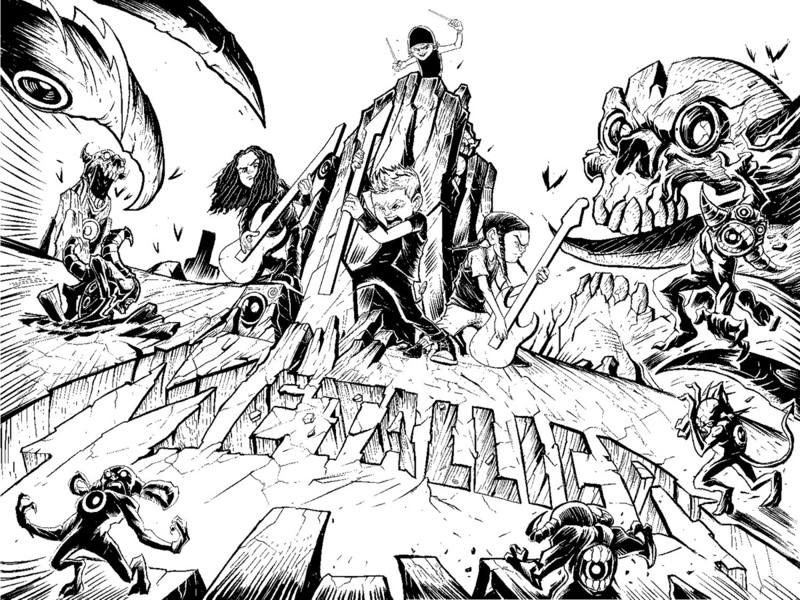 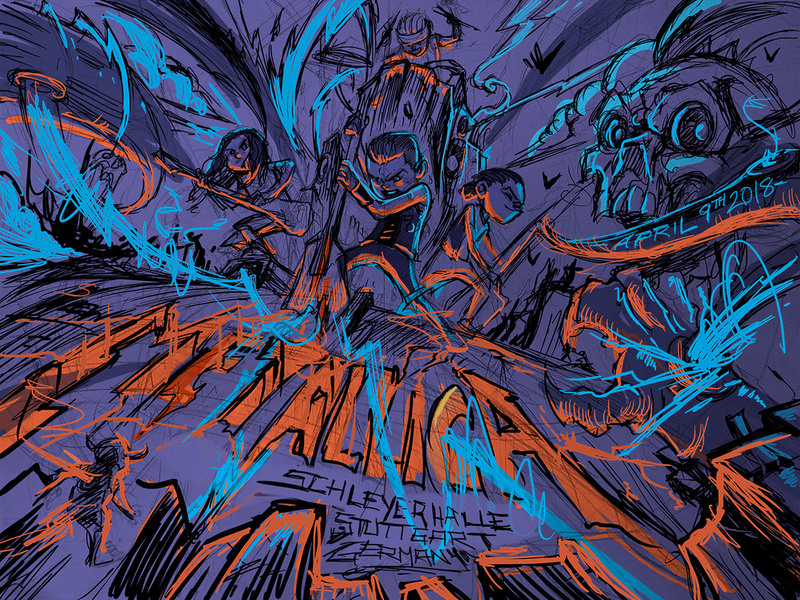 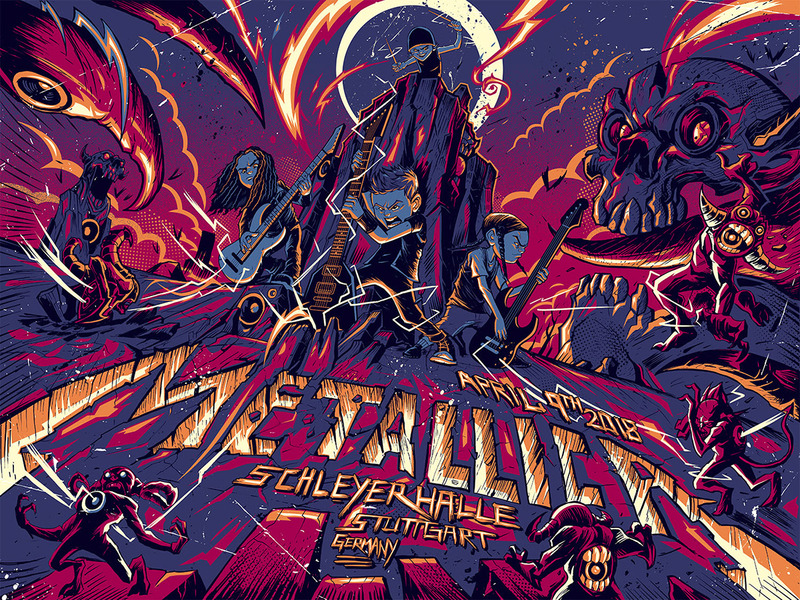 From F4D site: Order any Dayne Henry Metallica poster (doesn't have to be this one!) 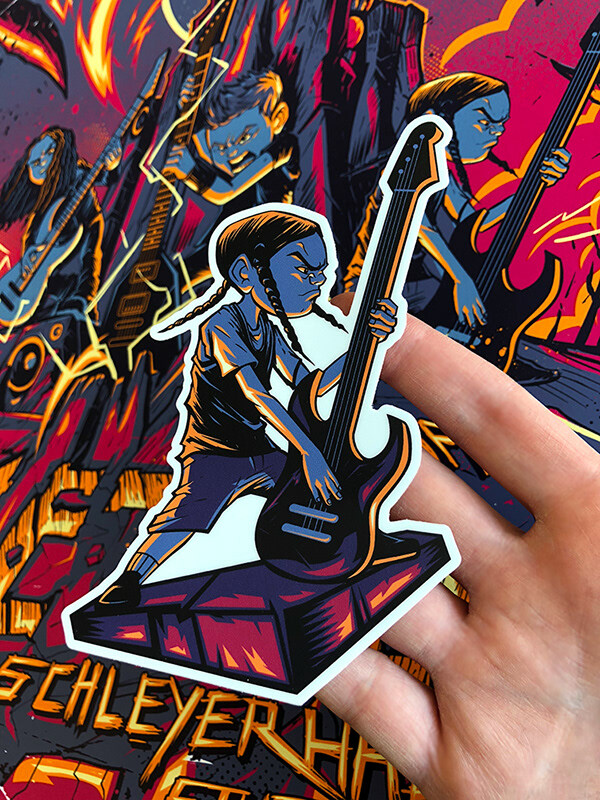 from our site and receive a "Metallikid" custom die cut sticker for free! 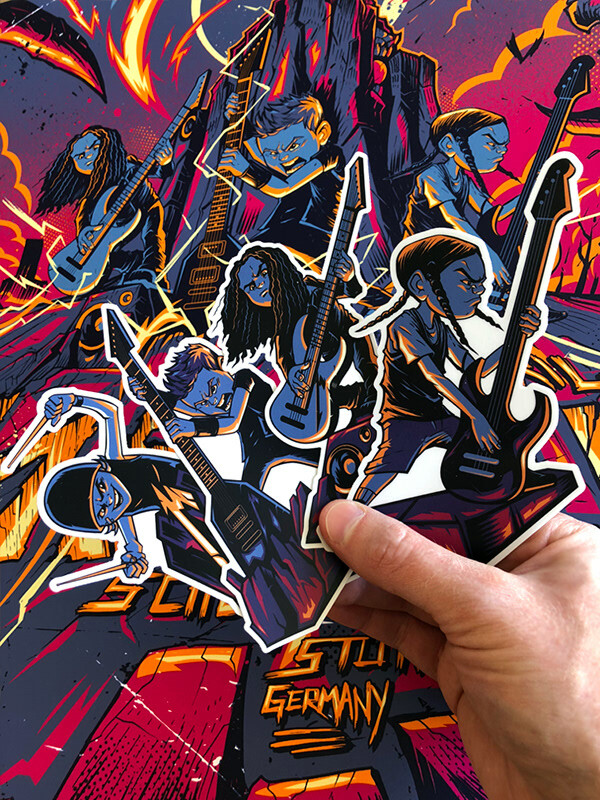 1 sticker per poster, order as many posters as you'd like! 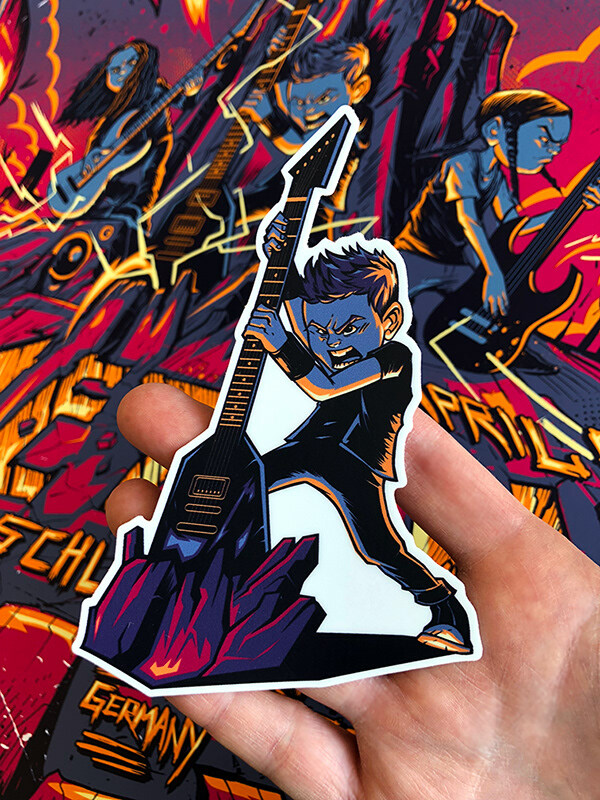 If you order more than 1 poster we'll make sure you don't get a duplicate and if you order 4 posters we'll make sure you get all 4 stickers of course! 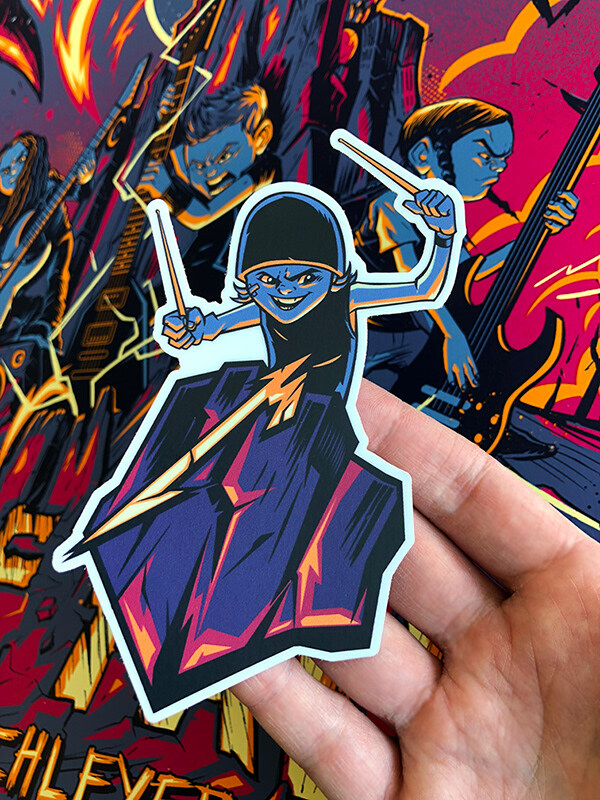 Stickers will never be for sale and are only given away with poster orders. 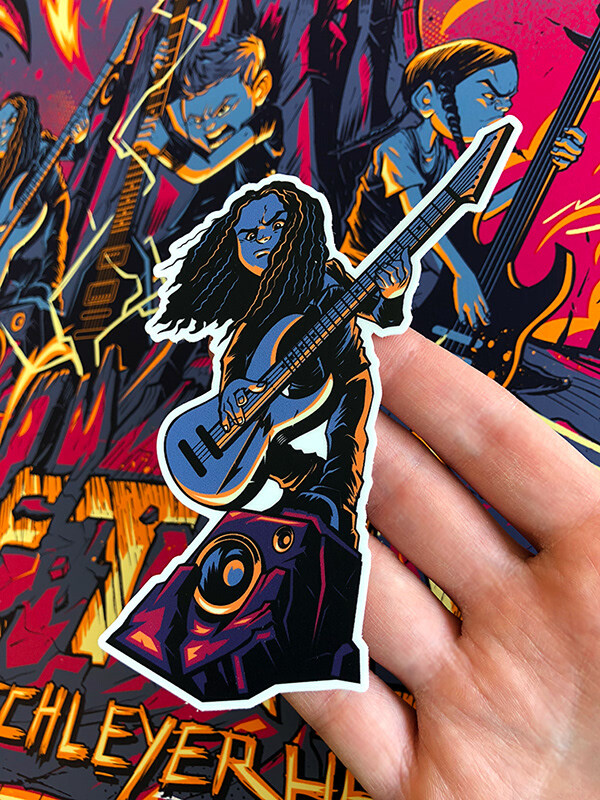 Stickers measure approximately 3.5 to 5 inches tall (approx. 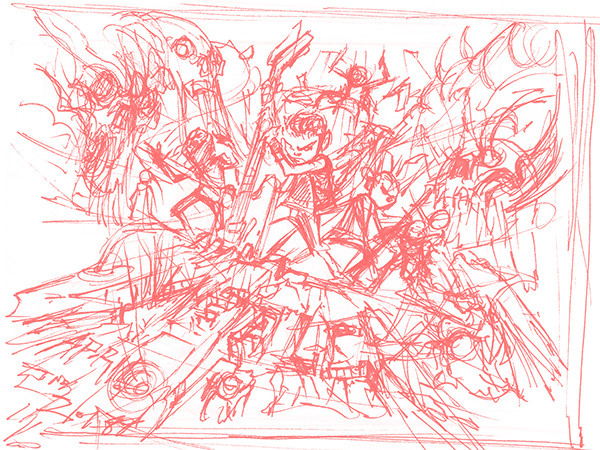 9 to 13 cm) each.